Everyone is called for a purpose though most will never realize it. Fewer still will actually hear their call and only a small number of those will answer it. I can look back through my life and see God’s hand at work. For me to be where I am today clearly took some intervention. I remember the first time I heard God’s call and like most that call went unanswered. The first time I can remember God’s call in my life came during the dark years after confirmation. When I turned seventeen I joined the United States Navy. It was an attempt to get as far away from home as I could and escape what seemed to me to be little chance at a prosperous future. 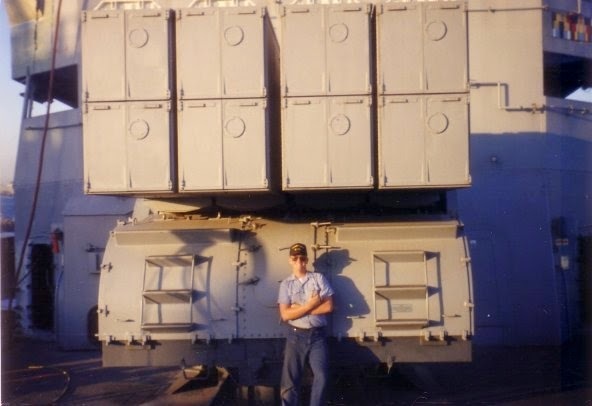 I reported to active duty shortly after graduating high school and after a year of technical training I became a gunner’s mate on a warship stationed in Long Beach, California. One night, lying in my rack, a strange feeling came over me. A thought came into my mind in the voice of my subconscious. It told me quite clearly that I should become a priest, that I would make a good priest. Now this idea presented several problems for me, the least of which was that I wasn’t Catholic or that I didn’t have the foggiest notion what a priest actually was. But the voice persisted. This wasn’t the only argument my brain presented but it was the strongest. In addition my brain told me that I wasn’t a practicing Christian, didn’t really belong to any particular church and I wasn’t really comfortable around “church people” better known as “bible thumpers”. With all of these arguments before me it was easy for me to say no to the little voice in my head. But that didn’t keep it from trying. It was persistent. It was annoying. It kept on for at least two weeks. Finally I prayed about it. I told God that I wasn’t cut out to be a priest and would rather be a husband and a father. I asked for that instead. All I really wanted was to find a woman who could love me and raise a large family. Wasn’t that enough? I may not have listened to God but that didn’t stop him from listening to me.